With the growing number of people relying on their smartphones for browsing and searching the Internet for content, local SEO (Search Engine Optimization) has become more relevant for businesses that want to target local customers and attract new business. There are many different methods for establishing a strong local presence, but you do need to take some care when implementing changes to your website and online to avoid making mistakes that could actually hurt your ranking in search results. The following are some useful tips to help get you started on using good SEO techniques and methods for local SEO. 1. Be consistent with your business name, address, and phone number. Review what is currently listed on your website. You will want to make sure to use what it is listed on your website exactly the same on other sites, we will get to shortly. If it is wrong, correct it first. 2. Claim your business listing on review sites. Review sites, like Google+, Yelp, Google Places, Bing Local, and others often have information about your business, especially if customers have left feedback. You will want to pick about three sites to get started and claim your business profile, which is free to do. 3. Update your business profiles with correct information. Now that you claimed your business profiles, you want to complete as many details as possible, including using the correct name address and phone number from your website. Many review sites will also allow you to upload pictures of your business, which helps establish credibility with the review sites and Google, as well as makes it easier for people to find your business. 4. Incorporate Google Maps into Google+ and Google Places listings. Google will allow you to imbed a Google Map into your listings. Not only does this make it easier for people to get directions on their smartphone to your location, but also can push you higher up in search rankings. Google tends to display local businesses on Google Maps first, followed by those that have profiles, but have not integrated their profile with Google Maps. 5. Respond to any existing reviews. If you already have reviews, take the time to read them, thank customers for posting them and address any negative comments in a positive manner. If you have any reviews that are irrelevant to your business, which can occur, mark those reviews and request the site delete them or remove them from your profile. 6. Ask customers to leave reviews of your business. There are different ways to do this, like printing a message on the bottom of a receipt or invoice, or putting up signs in your business that say you are on Yelp, Google+, Google Places, and other such sites. 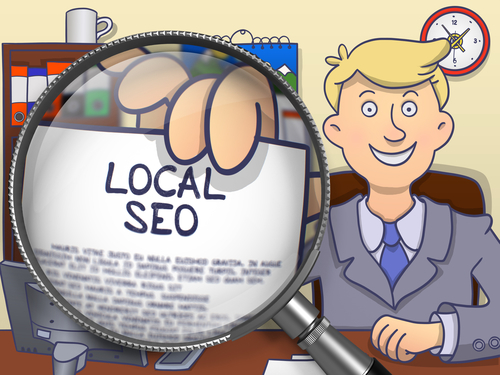 For assistance in establishing and creating your local profiles and developing a local SEO campaign, please feel free to contact Webryze at (416) 900-1047 today for a FREE Local SEO analysis! Reputation Management Tips for Effective ResultsWhat Are Some of the Worst SEO Techniques?